Striker has matched his total of hitting the goal frame of last season but which players have done so most? 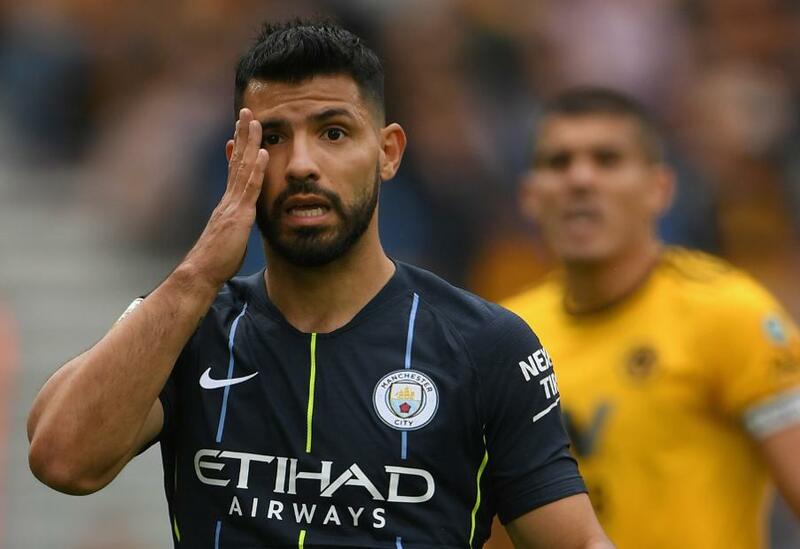 Sergio Aguero, Manchester City fans and more than two million Fantasy Premier League managers were left cursing their luck on Saturday. The Man City striker hit the woodwork twice in the 1-1 draw with Wolverhampton Wanderers, once in each half. Only one player has done so on more occasions in a PL match. That was Cristiano Ronaldo, who struck the post or crossbar three times against Newcastle United on 1 October 2006 and, like Aguero, failed to score. It means Aguero has struck the frame of the goal three times this season, already matching his tally from the whole of 2017/18. And it was the fifth time City had seen a shot hit a post or crossbar this season, the most among the 20 PL clubs and a continuation of a trend from last term. Pep Guardiola's side netted 106 goals in their title-winning campaign, the most of any team in a PL season, but it could have been even more. City hit the post or bar 24 times, eight more than anyone else. It was also the joint-fourth-highest total in a single season, behind three tallies, all set by Liverpool, the most being 33 in 2011/12. Two of those Liverpool totals were aided by Luis Suarez. The Uruguayan hit the frame of the goal more frequently than other player since such records began in 2006/07. He did so 26 times, two more than Aguero, in just 110 PL matches, a rate of once in nearly every four fixtures. The player to have struck the frame of the goal the most is Robin van Persie. Van Persie scored 144 times in the competition but on 48 occasions hit a post or crossbar.